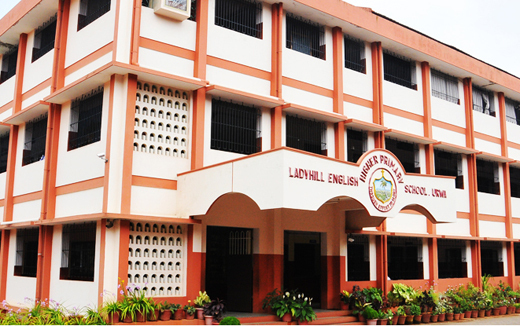 Mangaluru, Dec 17, 2015 : Ladyhill English Higher Primary School, has completed five decades of its establishment and is to celebrate the Golden Jubilee on December 17, today. School headmistress Sr M Letitia said that the institute, which was founded in 1965, has a rich tradition and it is a shrine of education imparting knowledge to thousands of students in the region. As a part of Golden Jubilee celebrations, the school management and the PTA -Parent - Teachers Association have planned to take up several activities. The school has already organized grandparents day, alumni day, retired teachers day, ’aatidonji dina’, various cultural competitions, sports meet for parents, self-employment training. It also will extend support to poor families on the occasion of Christmas, Sr Letitia said adding that the valedictory ceremony of the Golden Jubilee will be held on December 17. A Gold Jubilee Thanksgiving Eucharistic celebration will be held at the school grounds on December 17 at 10 am. Mangalore Diocese Vicar General Rev Denis Moras Prabhu will be the main celebrant. Bishop of Shimoga Most Rev Francis Serrao will preside over the Golden Jubilee and valedictory ceremony to be held at the same venue from 4pm. Apostolic Carmel Karnataka Province Provincial Superior Sr M Linette, minister for health and family welfare U T Khader, Mangaluru City South MLA J R Lobo and Mayor Jacintha Vijay Alfred will be the guests, she said adding that cultural programmes by children will commence after the Golden Jubilee meet. A old institution and the best. Well Congratulations on Stepping into the Golden Jubilee.